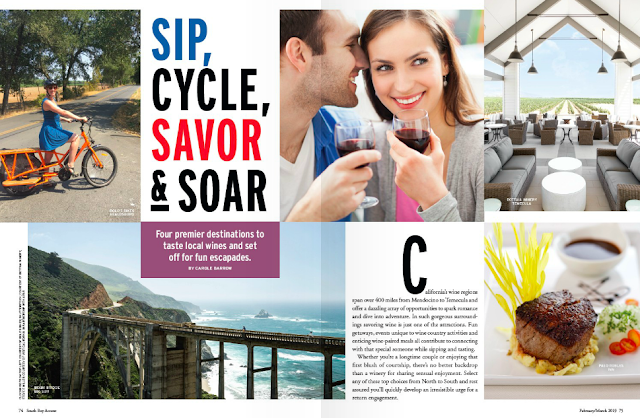 Sip, Savor, Cycle & Soar at distinctive wine infused destinations -- Healdsburg, Paso Robles, Big Sur and Temecula. I had a blast researching every drop of this getaway story, but the hot air balloon ride over vineyards was the ultimate highlight! This feature spotlights four romantic getaways where wine tasting is only half the fun—the other half being an exhilarating adventure.